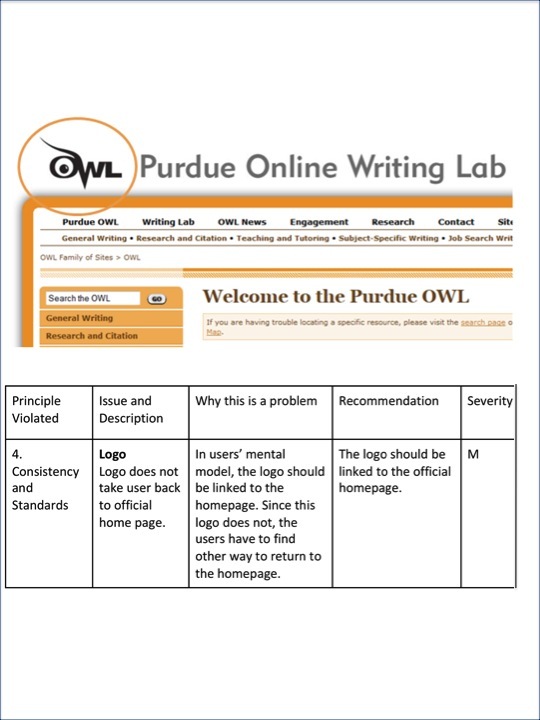 An evaluation of the Purdue Online Writing Lab (OWL) website using Jacob Nielsen’s Heuristics. 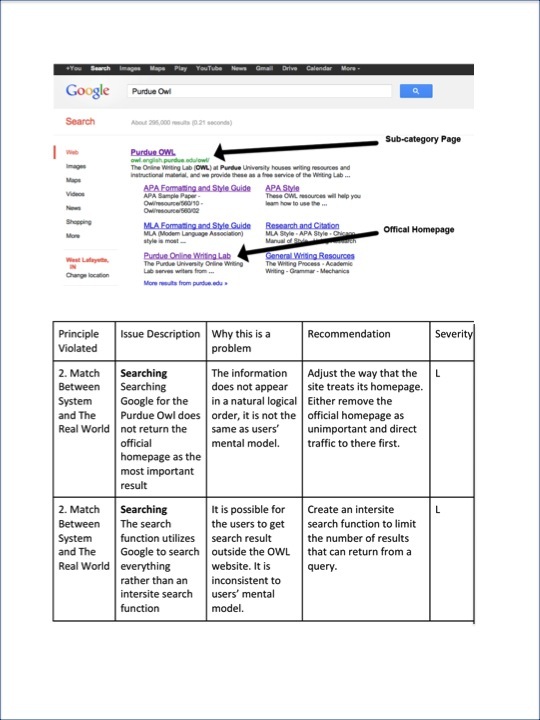 Skills: Inspecting, evaluating, and determining usability issues related to heuristics in a website. Rating the severity of a usability issue. 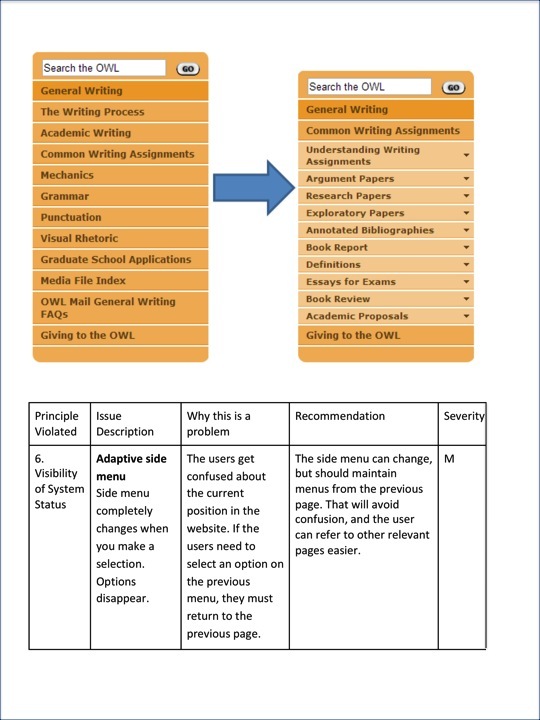 Suggestions for improvements relating to the usability flaw. Presenting a heuristic evaluation report. This was a team project. 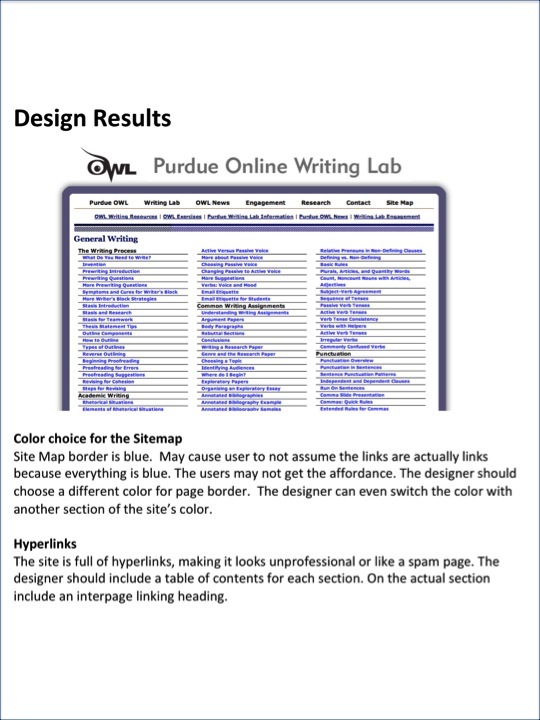 I individually analyzed the website and noted multiple usability issues. I wrote much of the content for the Executive Summary, Introduction, and Methodology sections. As a team we discussed the severity and categorization of the usability issues.